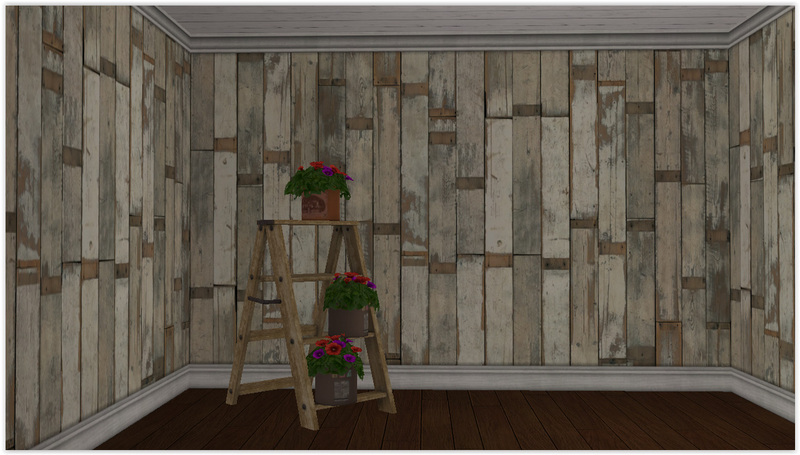 Whether it's your poor Sims using what's available or your rich Sims looking for the latest designer trend, these scrap board walls fit the bill. 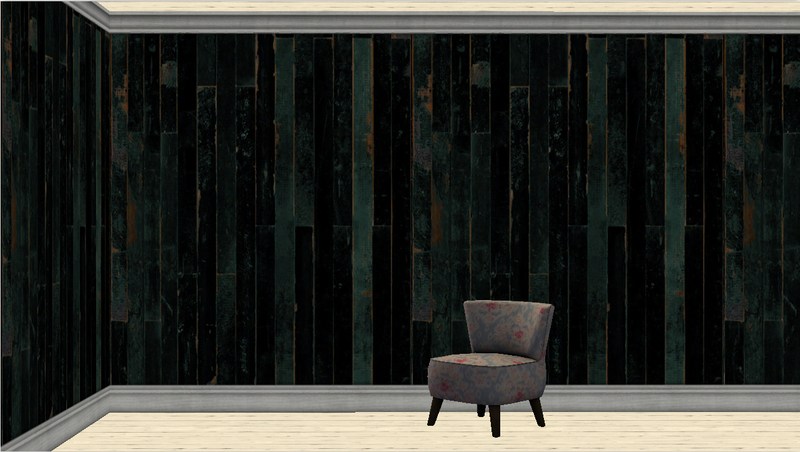 This collection includes 20 wall sets featuring designer wallpaper by Piet Hein Eek. 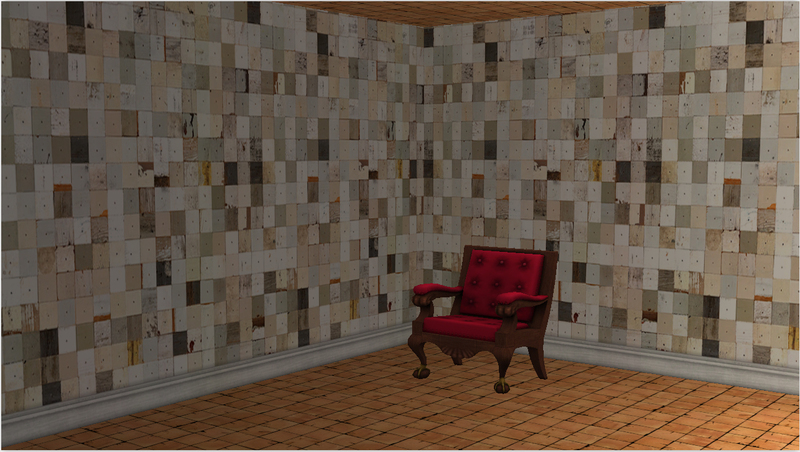 I believe I have found all the walls in his collection to offer for your Sims' use. 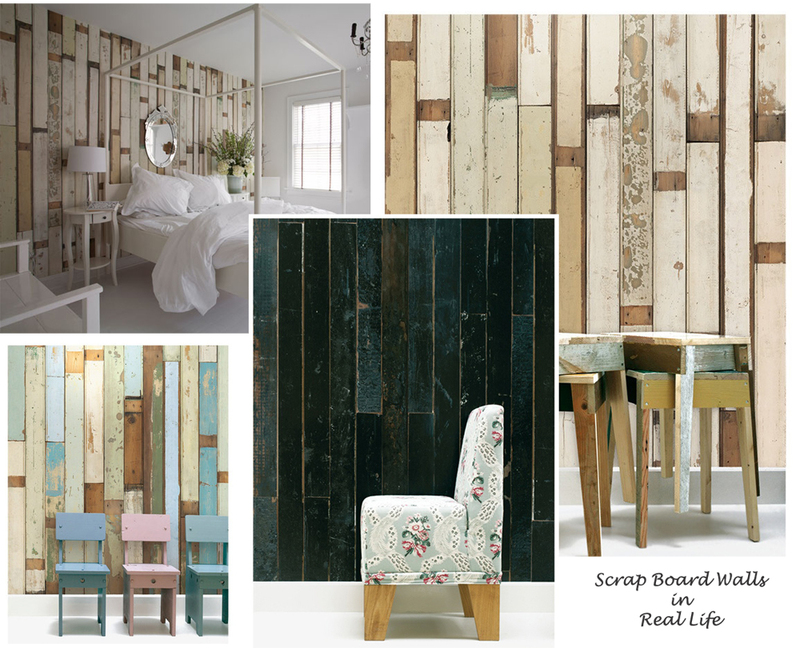 Made from re-purposed scrap boards and wood pieces these walls will fit in most eco-friendly homes. 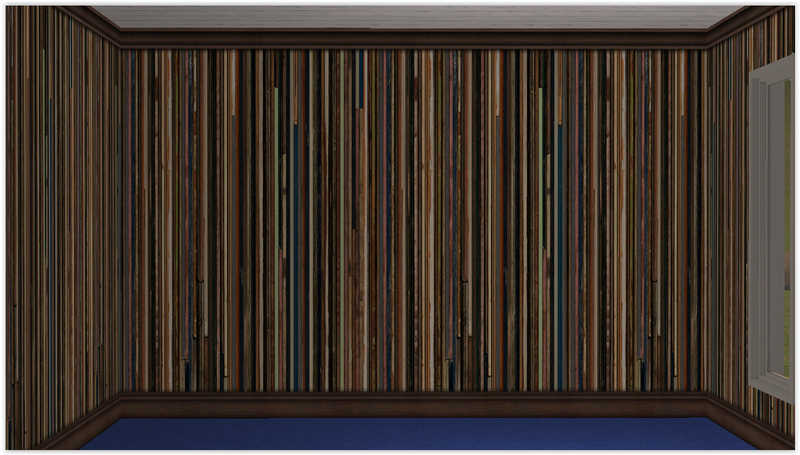 Each set (except #12) has two to four walls that line up seamlessly going across. 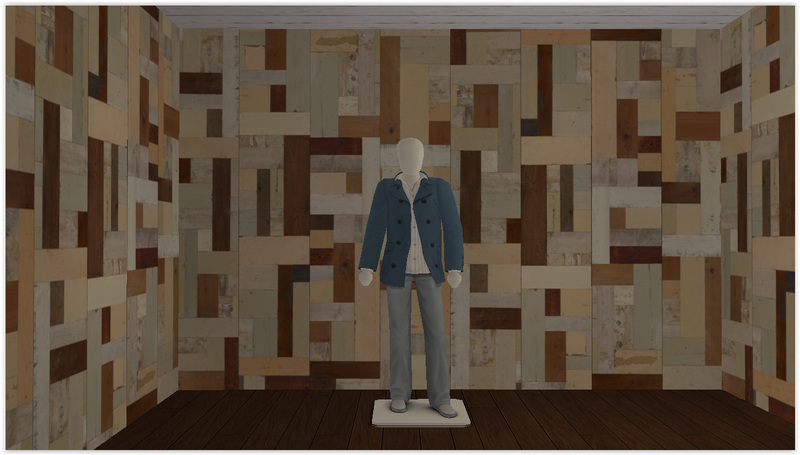 They are marked a, b, c, d so that you know the order in which they were represented in the textures I downloaded from the net. 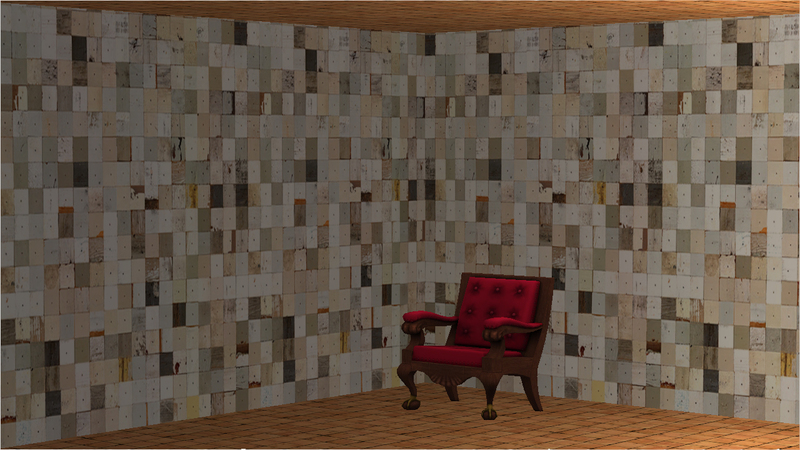 These walls can be used singularly as well since I sliced and diced the textures along the seams of the wood. 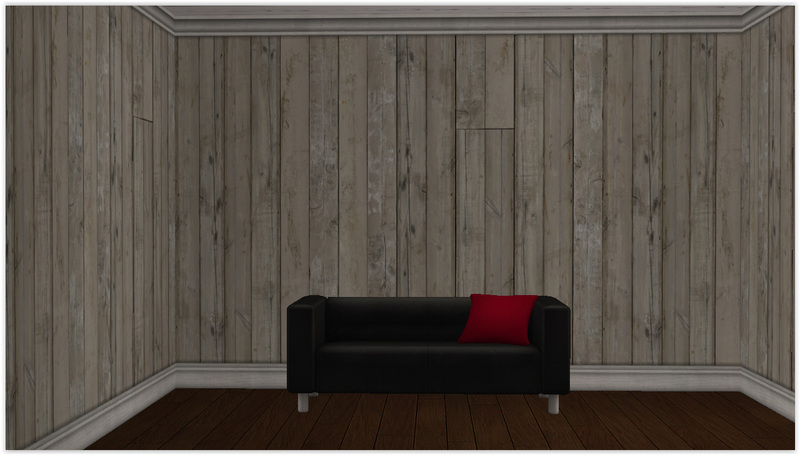 Above is an extra little wall set using PHE-5. 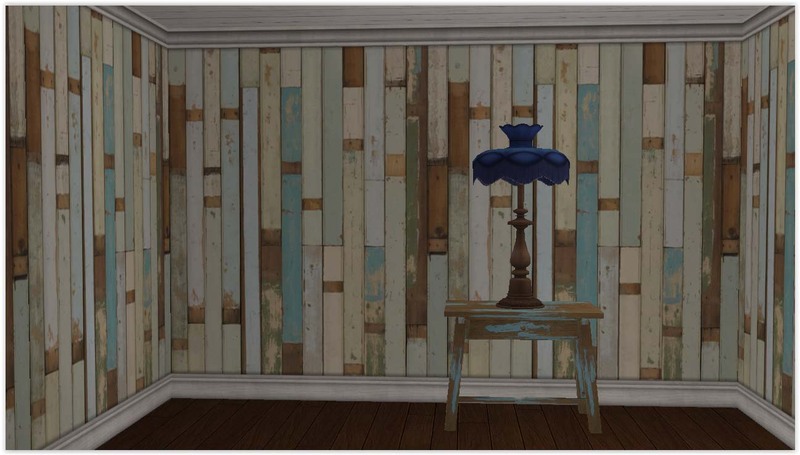 The promo pics (below) have #5 in a totally different hue than what's shown as the texture sample at the wallpaper stores. 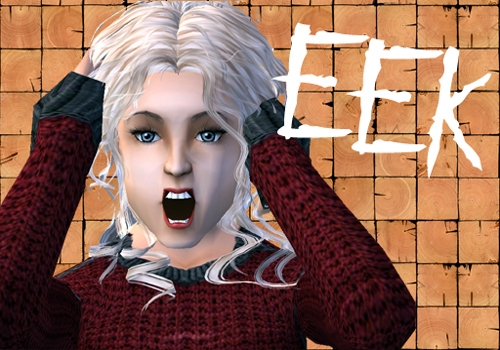 I liked that greenish/bluish tint so I got our my eyedropper and magic wand and went to work. 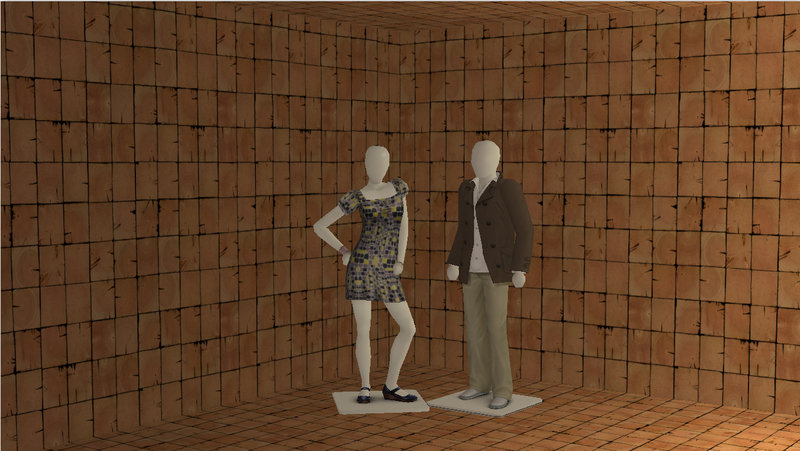 Here are a few real-life examples of the walls in my project. 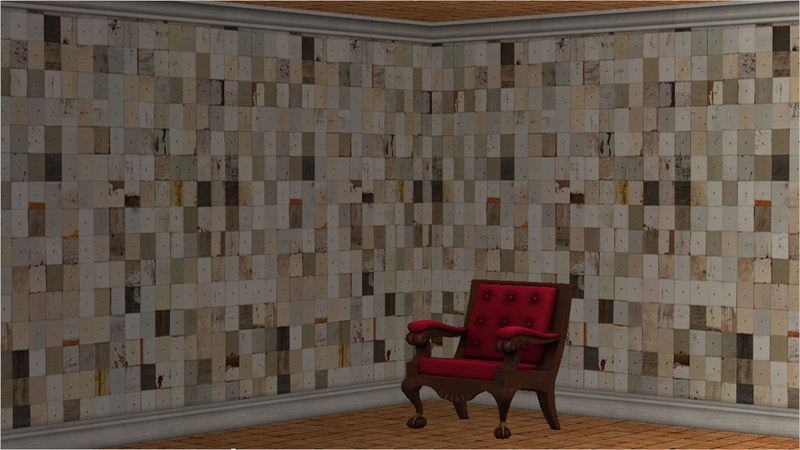 We'd pay $25 or $30 a foot for these as wallpapers, your Sims will pay 5 simoleans each. 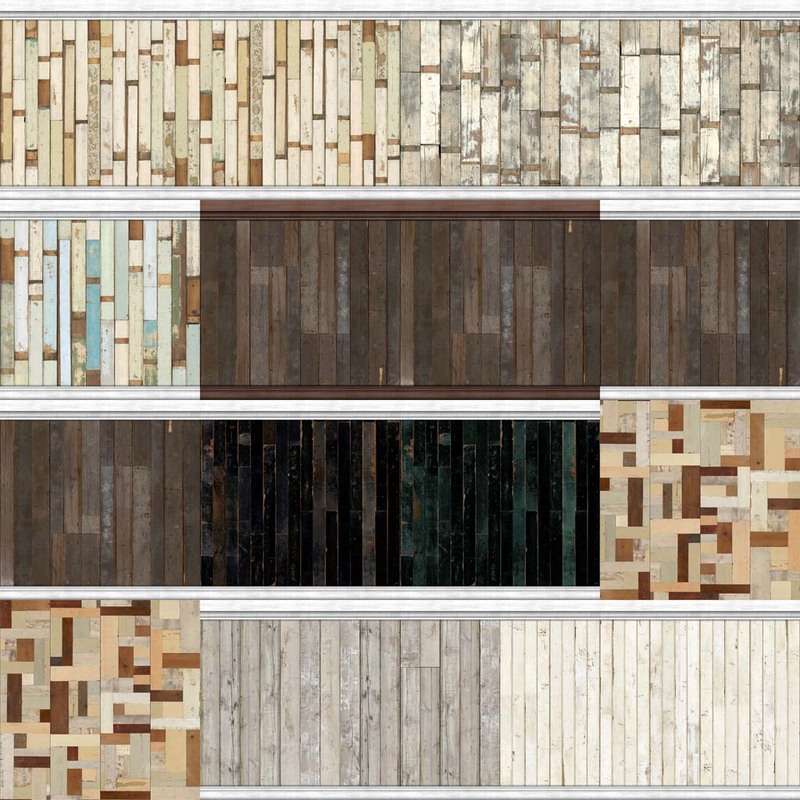 Find these in Wood Panels. 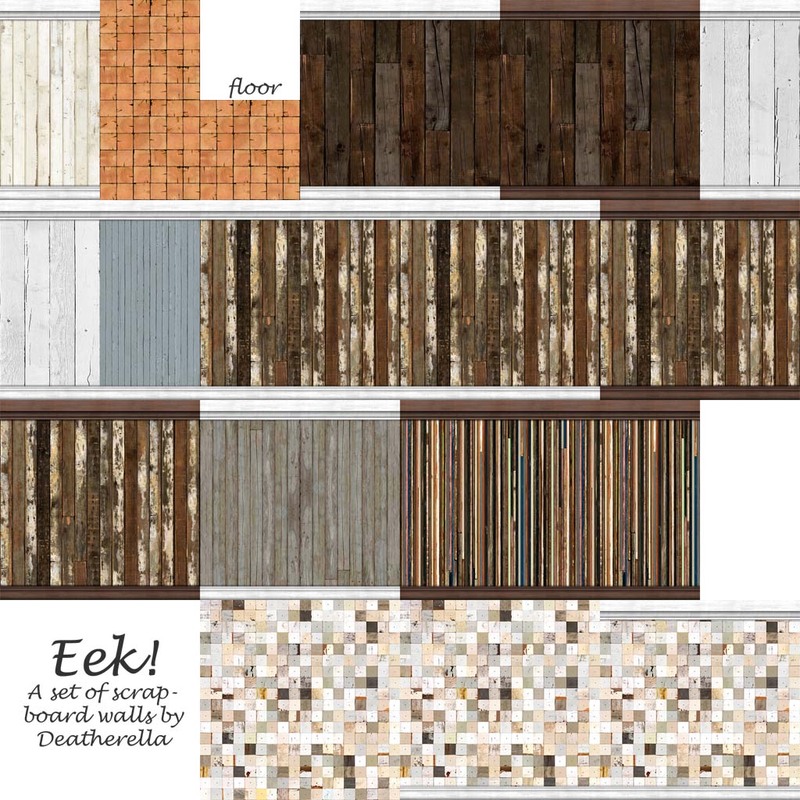 There are swatches of each specific wall set in each file for your convenience and I've compressorized them for you. 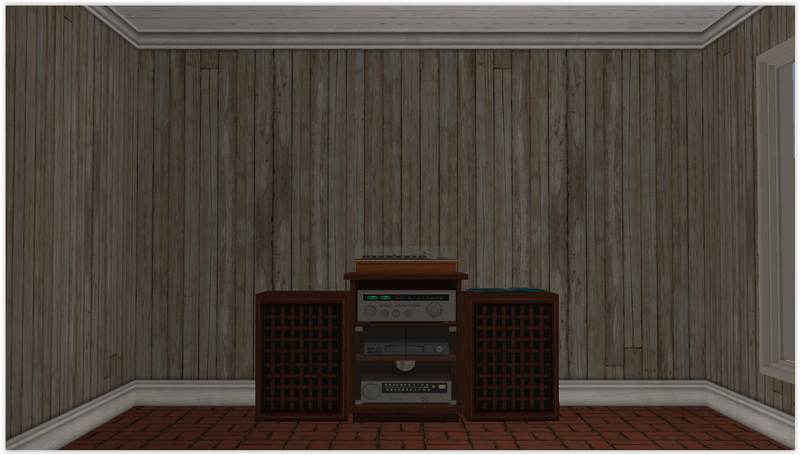 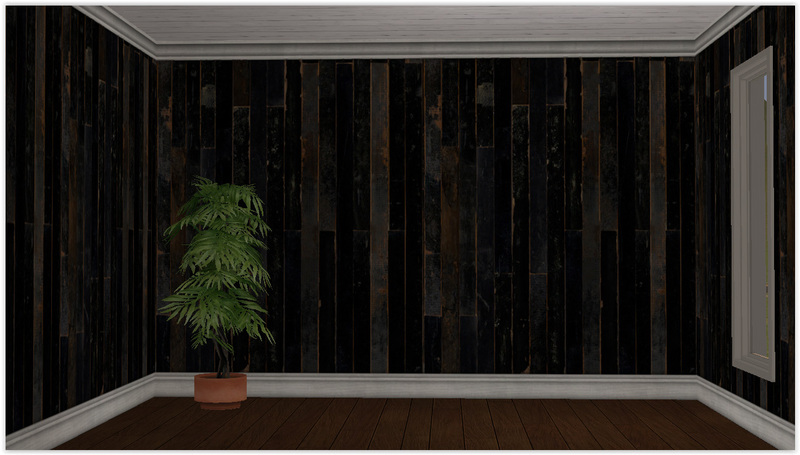 I just wanted to mention, also, that while browsing the net looking for a non-related download, I found two or three walls and some floors made by tinhouse (of Black Pearl Sims) on her personal site using some of these textures. 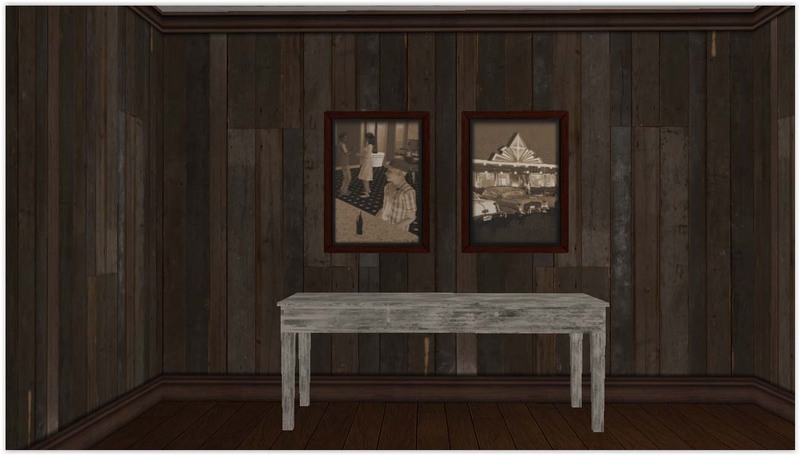 I promptly pm'd her and she encouraged me to go ahead and upload my set since our creations may use the same textures but we have each presented them differently. 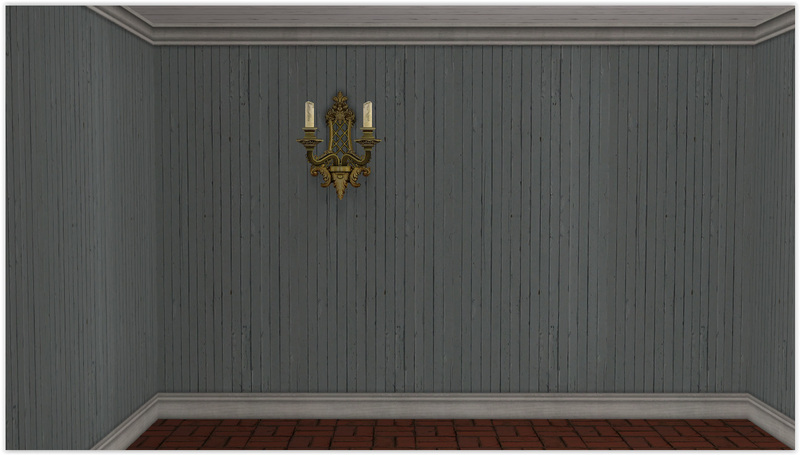 shastakiss' Curiona Moulding for the trim boards. 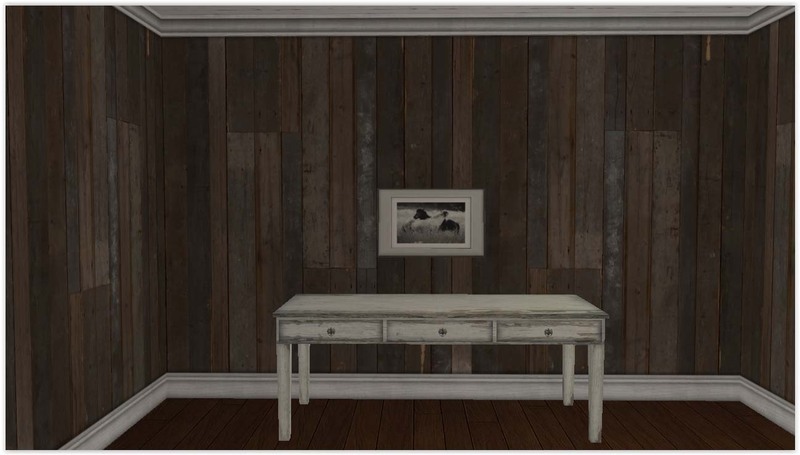 Desk by Jope at Simply Styling. 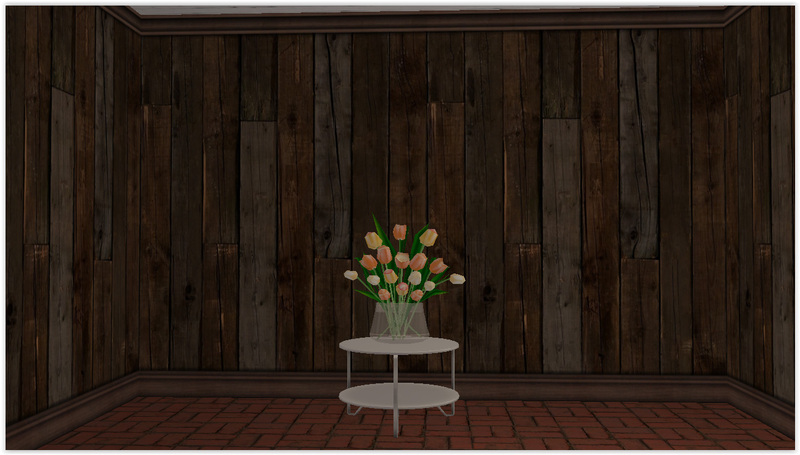 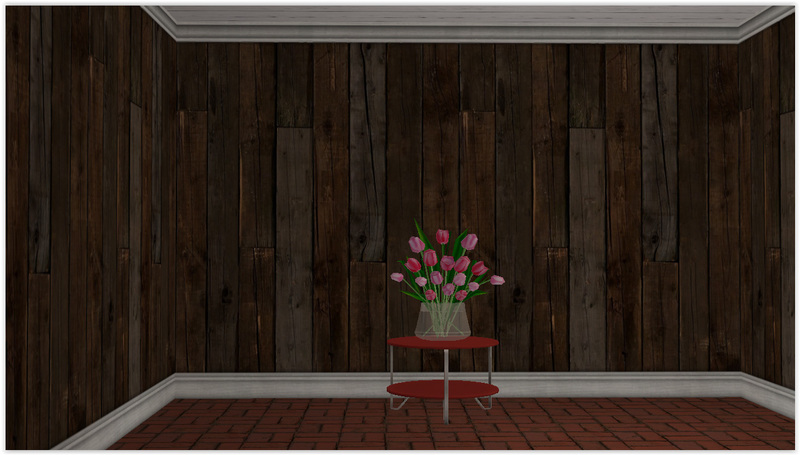 Small shabby table by Billy Jean and Tulips by min at Black Pearl Sims. 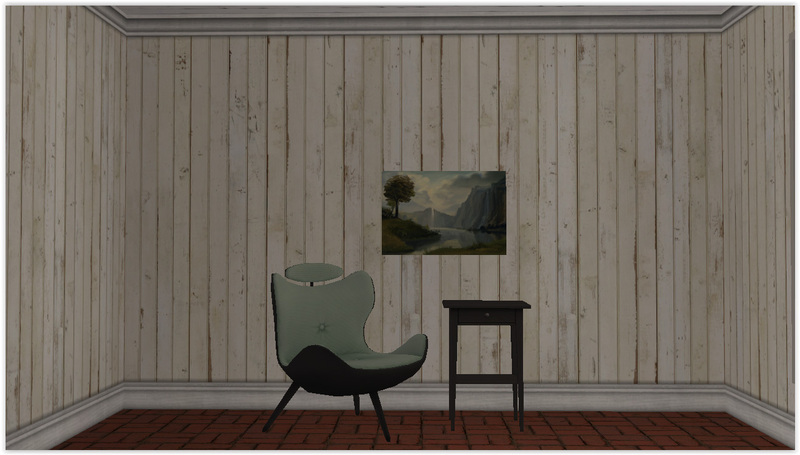 Chair conversion by moxxa, recolor by me. 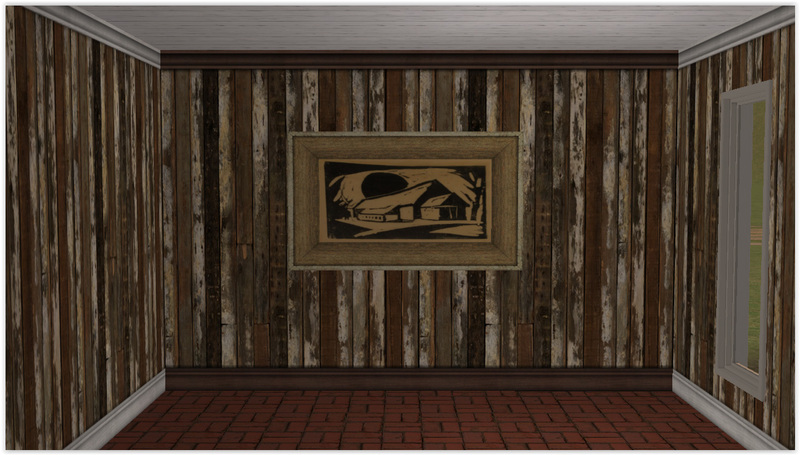 Recolor of This Old Cabin by me. 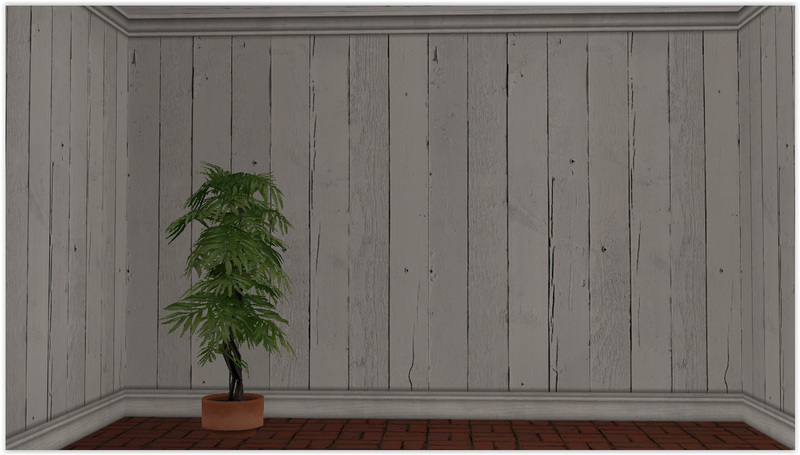 Made using Photoshop 7 and Homecrafter. 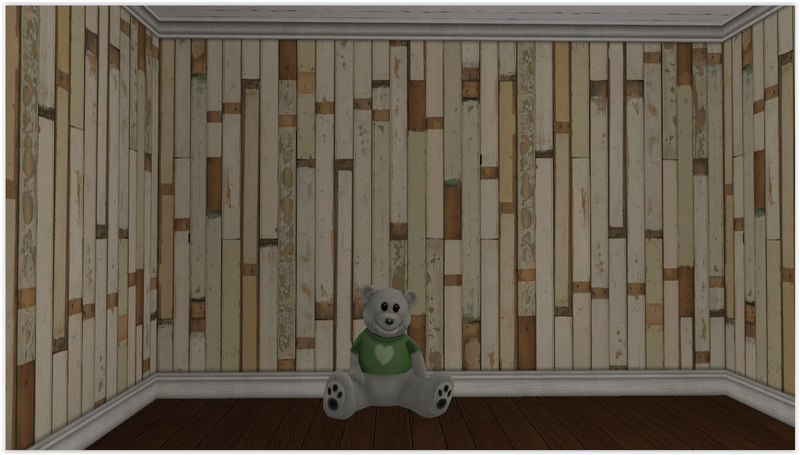 69 people have said thanks to Deatherella for this download.